Combine the convenience of the cloud with the security of the on-premise solution with GitStorage, the premiere way to store your projects on a cloud that is strictly for your eyes only. 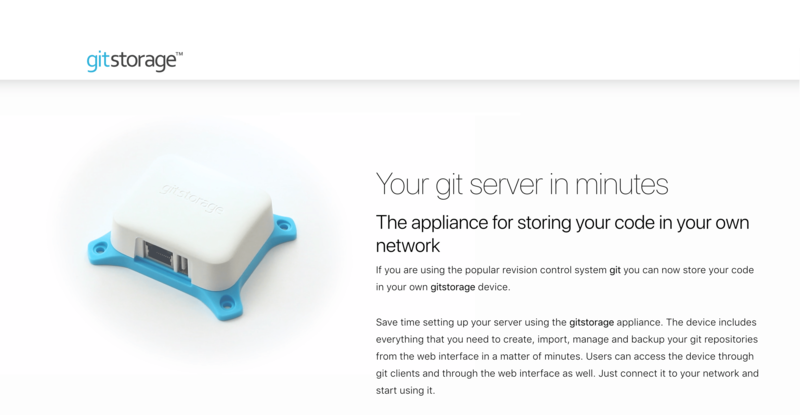 Instead of placing your valuable source code and intellectual property in the hands of major cloud services — which are not only expensive, but also vulnerable to cyber attacks and third-party monitoring that place your data in the hands of your competitors — GitStorage allows users to take control of their own cloud and thus their own property. Set up your personal git server, and get access to their web interface where you can create custom repositories, import third-party repositories, and control the flow of people who have access to content on your server. All data is then backed up on a personal cloud only accessible to those on your on-premise server. Now, the only way to your precious data is through both network access and an encryption password. No subscriptions. No vulnerability. No unwanted oversight. No hassle. You’re now free to code, create and collaborate in a safer and easier way. 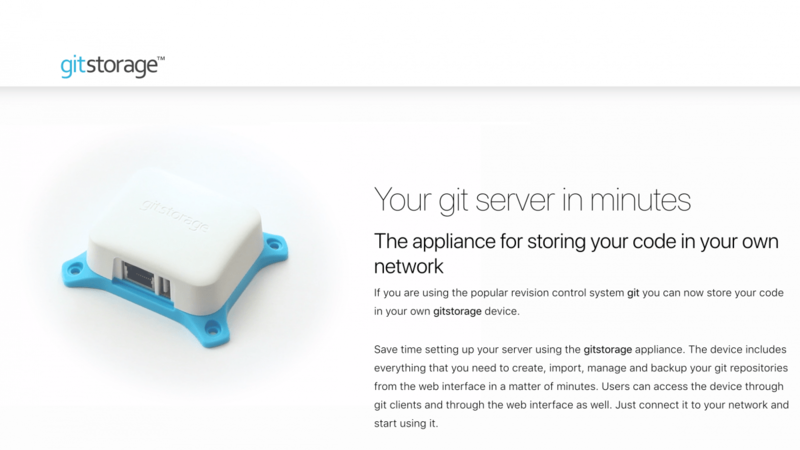 The GitStorage is an easy-to-install unit based on a modified version of the Raspberry Pi. The in-built SD card stores the OS, software, and configuration data, while the repositories and cloud-based activity exist on a encrypted partition. This single board computer (SBC) unit is as small and sleek as a credit card, able to be placed on any surface such as on a wall or under a desk. It is ideal for startup companies and other small-to-medium-sized development teams that wish to keep unwanted eyes from seeing, sharing or stealing their source code. Two versions of the GitStorage exist to address each company’s individual needs: a 16 GB version which can store up to ten users, and a 64 GB version which has no user limit. Purchase of a GitStorage includes a free year of software updates.